Welcome to Holiday RV, Sales and Service located in Jefferson, Iowa. 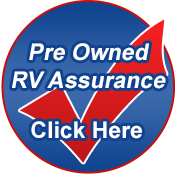 View our homepage for the latest news and products from your Iowa RV dealer. Check out our slideshow containing our latest RV inventory. Holiday RV is located in Jefferson, Iowa. View our location page to see detailed maps showing where we are located in the U.S. down to a detailed map of the Iowa area. Our financing department makes it easy to get you on the road in your new or pre-owned R.V. We provide great interest rates and custom terms. Whether you've been buying R.V's for years or you are about to buy your first one, we can help you through the process with one of our many lenders. Loan calculator is available for use. At Holiday RV, sales and service, we offer Parts & Accessories for most RV's at very competitive prices. Check with your Iowa RV dealer, Holiday RV, for all your Parts & Accessories needs. Here at Holiday R.V. we buy clean and well maintained R.V.'s. We can offer you top dollar for your RV! We also buy clean pre-owned cars, trucks, vans and SUV's. Holiday RV is located in central Iowa only 1 hour north west of the Des Moines International Airport: or only 2 hours from the Omaha, Nebraska Airport, Eppley Airfield. Holiday RV has a complementary FREE of charge pick up service at either Des Moines International Airport or Omaha Eppley Airfield. View information on why you should make Fleetwood your #1 choice. Videos are available for viewing regarding Discovery, Bounder, Tioga, Southwind, and Fiesta brands. Videos on Fleetwood quality and Power Bridge Chassis is also available for viewing. View Holiday RV's Commercial showing information about our services. Running footage included of your favorite RV brands. Fleetwood's patented Power Platform is the envy of our competitors. The ultra-strong chassis provides enormous storage space, lined with molded polyethylene for easy cleaning and lit to help you see after dark. The holding tanks are positioned in the bottom to enhance balance, and enclosed so they can be heated in cold weather to help prevent freezing. Contact Holiday RV, sales and service for all your RV needs! Form is available for all your questions and messages. Holiday RV Sales & Service of Jefferson, Iowa now offers Coleman Folding Camping Trailers as well as Coleman Ultra-Lite and Conventional Travel Trailers & Fifth Wheels.